The Log received so many Dog Aboard submissions that we decided to print a special-edition spread of a few notable water-loving pups. 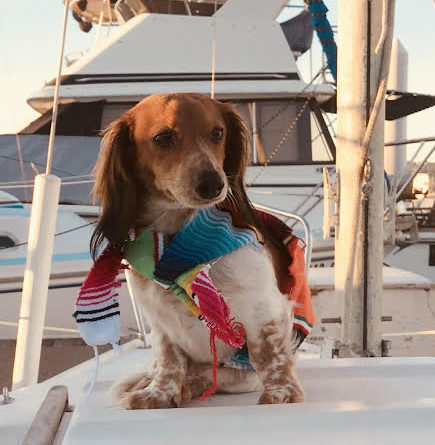 If you have a “fur-st mate” who would like to be featured in an upcoming issue, please email photos to editor@thelog.com or address submissions to our office at 18745 Bandilier Circle, Fountain Valley, Calif. 92708. Look yonder — cat aboard! 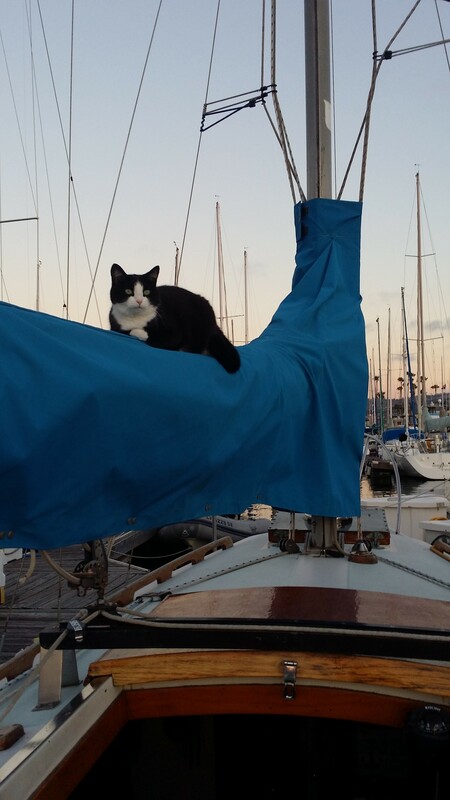 DaiSea the cat lives on a 28-foot Ericson. 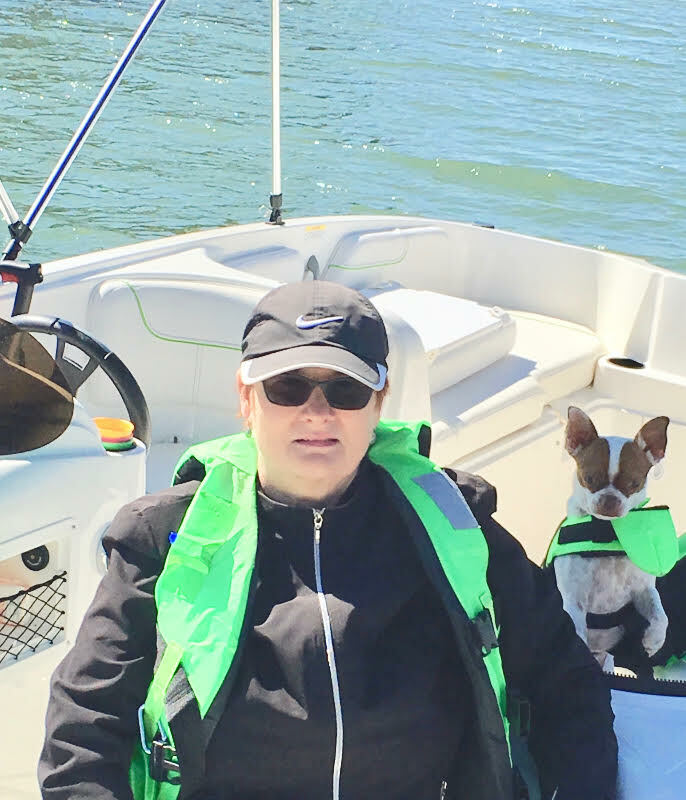 Her owner, Kaya Whitefeather, says “DaiSea loves to climb up and down all over the boat, and she runs to meet all the neighbors walking by on the dock.” DaiSea also has a pet betta fish named Jaws. 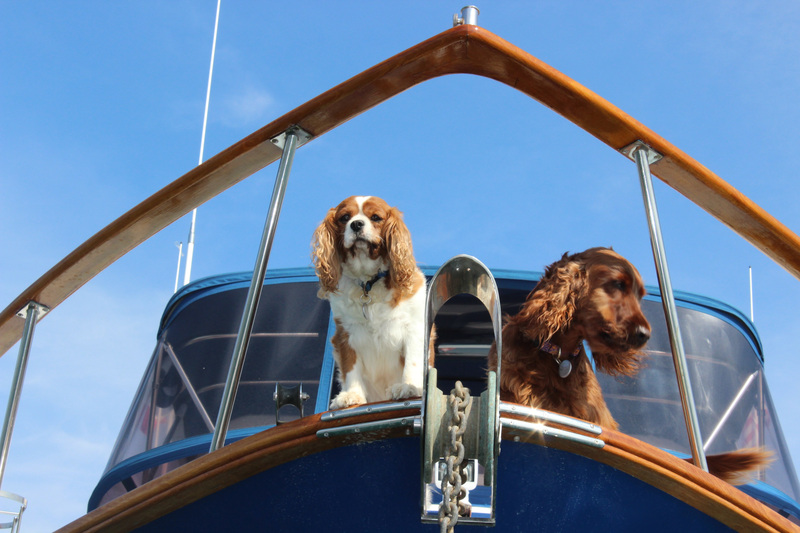 Irish Setter and King Charles Cavalier Spaniel, Flannigan and Ruby, certainly earned their sea legs as partners-in-crime aboard Trinity Rose. Frankie grew into quite the sailor according to her owner. 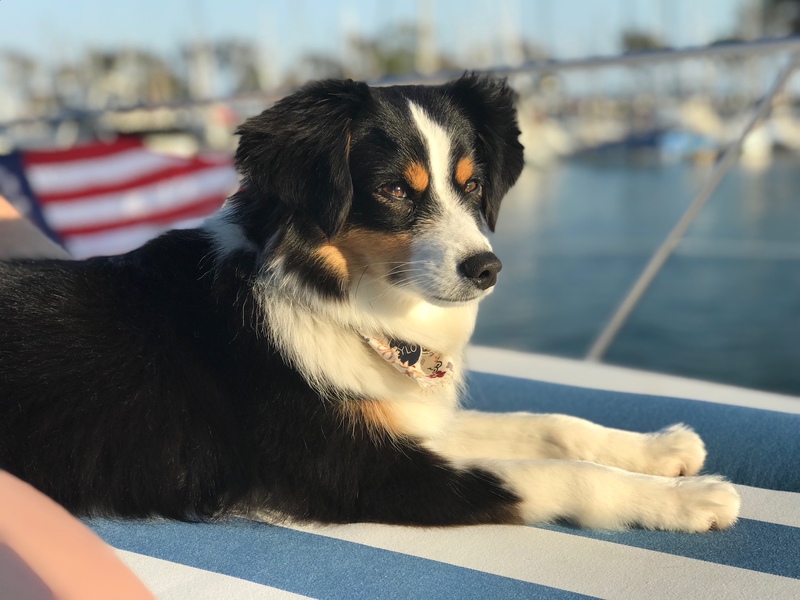 Water-loving Kylo, a miniature Aussie, has been featured in the Dogs Aboard department before, which is a testament to how much she enjoys boating on Little Sycamore. Here she relaxes in Dana Point during the Independence Day celebrations. Positioning herself at the stern, Luna is always ready when the boat begins embarking. Luna’s pal Moose joins her on their Selene 55. 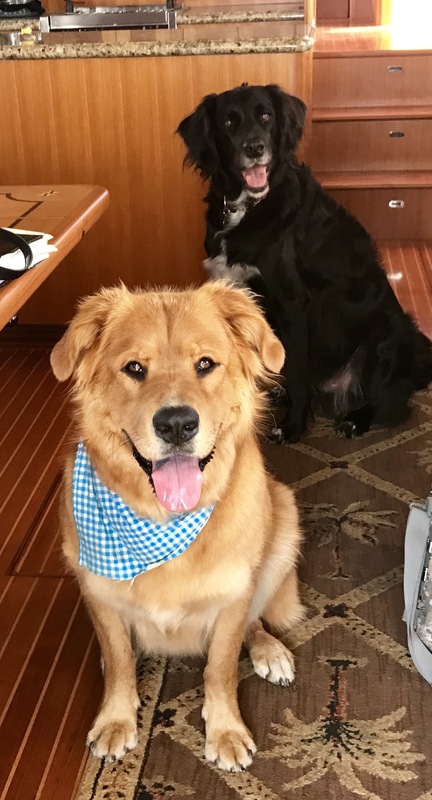 This puppy duo recently made a move from the mountains of Colorado to enjoy the West Coast’s waves. 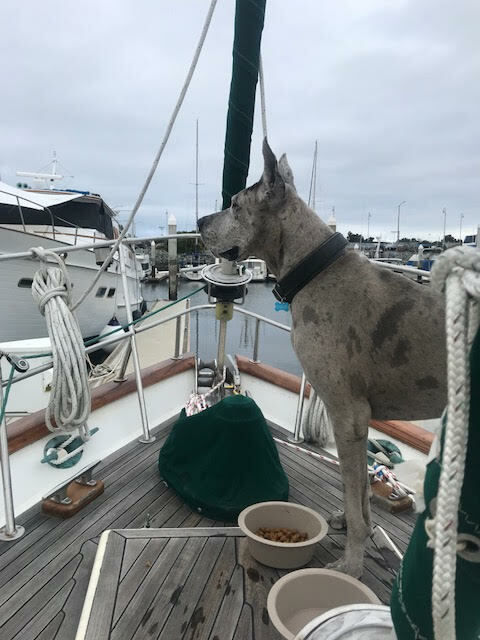 Here, Quincy, a 3-year-old Great Dane, is getting acquainted with boating on an Aleutian 51 Ketch. 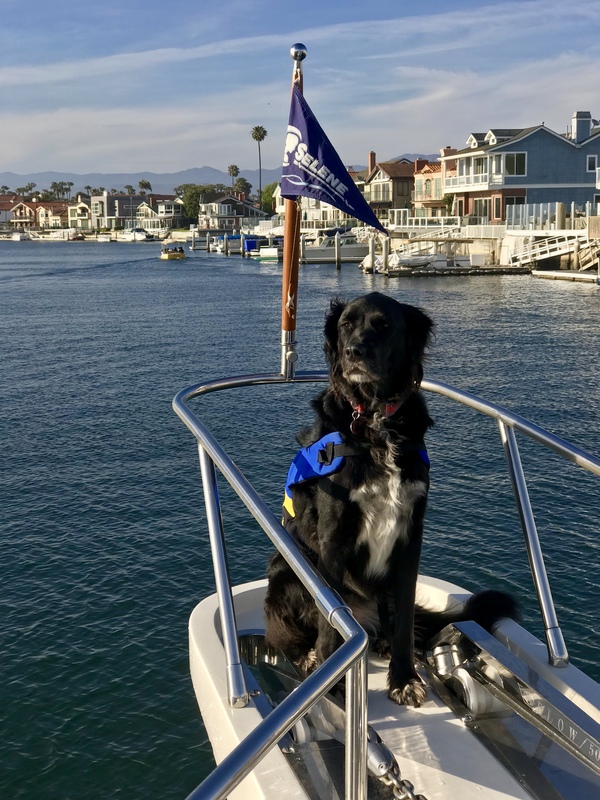 Her owner Chad French says Quincy will be joining the family of four as a liveaboard in San Diego. Follow their adventures at livefree2sailfast.com. 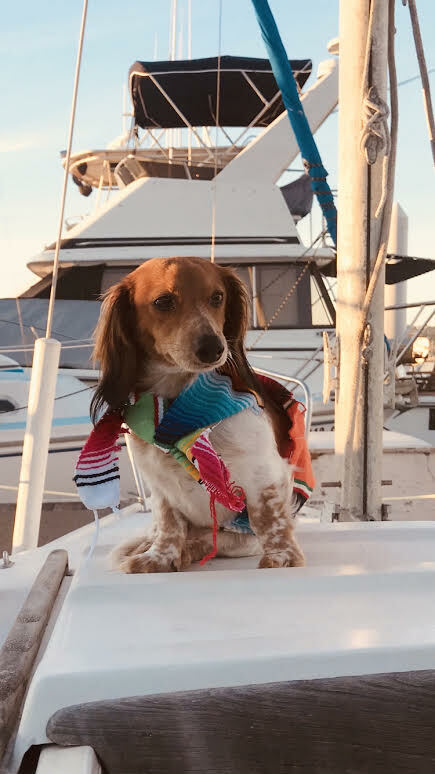 This long-haired dachshund, Simon, shows off his festival poncho while celebrating Memorial Day in Mission Bay.